SPARKLE UP YOUR HOLIDAY TABLES WITH ANTIQUE SILVER. Nothing sparkles up your Holiday Table like s i l v e r. Antique Silver. From breakfast with Santa, to a festive Christmas Day Brunch, and a Christmas Dinner, silver is always an exceptional and gracious way to set your table. I visited my favorite silver dealers and little shops, I always try to buy the very best, but also the most unusual pieces of silver for your collections. Here is a photo I took of my ever patient John carrying boxes, bags and larger items carefully wrapped for taking back “home” to FrenchGardenHouse back and forth from the secret locations to the car. Exceptional, this Asparagus / Pastry/ Toast Server in silver is the epitome of sophistication for your collection of sterling silver. The quality of this fine design and the exquisite workmanship is typical of that of the finest luxury silver smiths in France such as Puiforcat, Soufflot, and Coignet. The curved blade has pierced and engraved designs of a flower basket with flowers and a French ribbon bow at the top. A beautiful asset for any tea table, this early Silver Sugar Sifter Confection Spoon is exceptional and quite rare to find. Known as Saupoudreuse or Sugar Sifting Spoons, they are difficult to come by these days. This piece has an exquisite scalloped pierced bowl, and a hand carved handle patterned with elegant Louis XVI Rococo styling. I still have this one ice cream spoon set from a buying trip in the past in the shop -this late 19th century heirloom Belgian Silver and Vermeil Ice Cream or Dessert Set, so the centers of which are beautifully engraved with Aesthetic floral, foliage and bug motifs on a vermeil (gold-washed) background. Ice cream was such an extravagance in the late 1800’s early 1900’s, and these beautiful sets of special “shovel” shaped spoons are always a treat to find, especially when they are in their original silk lined case. I find this such a fun one! I bought this here in the states….this antique sterling silver and glass grated cheese shaker or server, with a beautiful decorative shape and “Grated Cheese” etched on the glass. A gracious way to serve parmesan cheese at your table, will make even pizza with the family an occasion. From one of the prettiest silver plated tea sets I’ve seen, the graceful shapes are just so beautiful. Engraved with a stunning floral design, the water pitcher is shown below. There is also a complete tea set in the same pattern, with a waste bowl, two pots, sugar and creamer. These antique French sterling silver dessert sets are always on the top 5 of our list, it’s one of the most requested pieces of silver our collector clients always ask for. And no wonder, not only are the beautiful, you can use them for h’ors d’ oeuvres service, or dessert service. Exceptional luxury quality, this beautiful four piece Hors d’Oeuvre or Dessert service was made by the prestigious silversmith Emille Puiforcat, 16 rue Chapon, Paris in 1860. Now owned by Hermes, Puiforcat is one of the handful of French silversmiths that have attained worldwide recognition for their long heritage, and their reputation for timeless patterns, heirloom investment quality, and unrivaled craftsmanship. This antique 19th century Art Nouveau centerpiece is a rare and extraordinary piece. 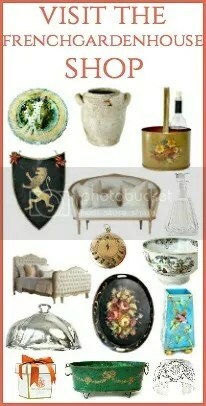 Beautifully decorative, the unusually large bowl is the shape of an egg, a favorite Victorian design element. The bowl is held up by three beautiful young maidens. Made with the highest quality of workmanship, the bowl is hand etched with a fruit berry design. The three stunning young ladies appear to be dancing. Collectable pieces this size are almost impossible to obtain these days. Imagine this as the center of your holiday table, filled with fresh, fragrant greens and roses! WILL YOU BE ADDING SILVER TO YOUR HOLIDAY TABLE SETTINGS THIS SEASON? You truly have the most exquisite and extraordinary pieces!….Yes, silver is timeless and I just love the incredible shine that would make anyone smile…and oh that teapot is incredible!!! Have a great day Lidy!!! Such lovely pieces, Lidy. You have given me the necessary inspiration to polish our silver tea service. Thanks for that. Oh my, Lidy, you have found some unique treasures! That shovel spoon set in case is exquisite, and the history with the hors d’oeuvres/dessert set is fascinating! Love the Art Nouveau piece also. I have yet to get my silver out, but it will find its way in my Christmas tables somehow. Love it. Love this post. The asparagus server is wonderful! I love using my special pieces when I set a table. I just finished my polishing for Christmas entertaining. My fingers need a recovery time, but the results are so worth it. Thank you for sharing all your history and tips, it makes everything so much more special!